King's Bread - King's Auto Pepper. Free US delivery. 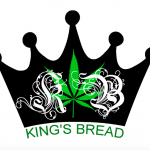 King's Bread have released their first Auto, and it is a winner! King's Auto Pepper is a hybrid of AK and Lowryder. AK is well-known for it’s long lasting cerebral effects and this this hybrid is sure to keep you alert and engaged in both creative and social engagements. King's Auto Pepper has a fairly short growing time of 8 weeks from seed to flower and known to produce dense indica like buds with earthy, pungent, and sweet tastes as well as a staggering yield at up to 750-850g per m² indoor. Calming, powerful and long lasting, suitable for relaxing time.